Following Amazon’s list of highest selling items, here is the list of most searched words. I am surprised that I hadnt heard of quite a few of them..
Google just released a new version of map-directions for India. If you have ever navigated your way through a new city, you know how difficult it is and how often you need to stop to ask people about the right left turn you need to make. Google maps now does just that. They provide directions emphasizing on landmarks instead of street names. This is a really practical way of adapting to the needs of a region. Awesome feature..
A very interesting video talking about how content publishers can decide the fate of the search engine wars by ganging up. The idea is that the publisher (say NYTimes) preferentially allows one search engine (say Bing) to index its content. 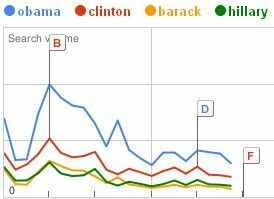 If people dont have access to NYTimes on Google, they will migrate to Bing, as they wont be left with much choice. Google phone search is now available in Bangalore! A recent post on the official Google blog talks about some of the techniques used for ranking search results. Surprisingly, it does not mention the PageRank algorithm. It talks a lot about semantic search, the idea of understanding the concept in a webpage or in a search query. Some of Google’s query understanding techniques are highlighted, viz. the spell suggestion system (the famous “Did you mean”), concept analysis system (ab could mean Alberta, Canada or airbase depending on the context) and a synonyms system (“back bumper repair” returns results for “rear bumper repair”). It also talks about work on interpreting user intent and how that is relevant to ranking search results. Personalization is a technique of tuning search results for an individual, based on his past search history. Localization of search results mean that a search query generates different results in different places (e.g. “Bank” searched in the US would list banks in America where as the same query in UK would list banks in the UK). Their universal search provides search results from different media, thus covering various intentions a user might have when searching for a particular keyword (e.g. 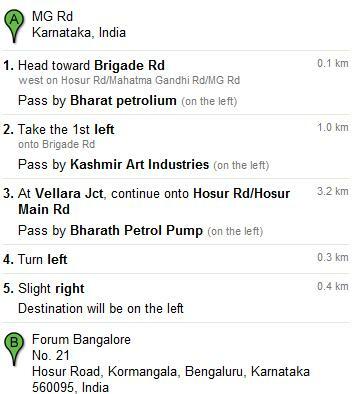 a search for “Bangalore” typically returns webpages about the city, a map from Google maps, related news items and possibly some video and/or images).